Alabama abides by a generally upheld blood alcohol level by which drivers may be found in violation of the law, that of .08 percent. This state also sets forth additional specifications for other populations, however, such as that of commercial drivers who must adhere to below that of .04 percent. The state of Alabama also possesses an Implied Consent Law that it also shares with various other states. This law deems Alabama state drivers automatically adhere to chemical tests administered upon them for the examination of blood alcohol levels. Refusal of such a test leads to immediate license suspension. Fines increase dramatically in terms of each subsequent DUI offense. In addition, the fourth offense is classified as a class C felony, which also raises the seriousness of the offense. To know more about Alabama DUI Laws and Penalties, click here. Alaska possesses 5 levels of penalty in direct correlation to such repetitions of DUI offenses. Both imprisonment times as well as fines increase each time you become a repeat DUI offender. The third, fourth, and fifth offenses, however, are classified as class 'C' felonies. The penalty for these repeat offenses are also vital to be cognizant of due to the fact that one may risk a permanent suspension of their license. In addition, fines may reach in the upwards of $10,000. Alaska seems to not put as much stock into imprisonment as a deterrent. The state appears to take the responsibility upon itself and revoke of one's driving privileges in order to ensure the safety of their citizens. This contrasts greatly to the legislature of various other states. 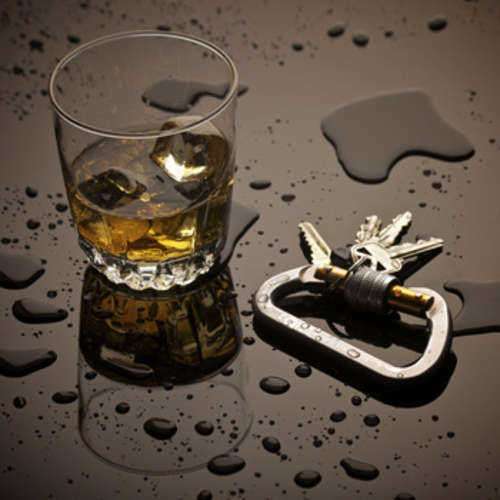 To know more about Alaska DUI Laws and Penalties, click here. The state of Arizona sets forth specific qualifications for the defining that of what is illegal in terms of alcohol during vehicular operation. These include: any concoction of alcohol, drugs, or "vapor-releasing substances," such as lead to the impairment of the driver, a blood alcohol level of 0.08 percent or more following two hours on the road, 0.04 percent or more for "commercial motor vehicle operators," and any amount whatsoever of alcohol within a driver's system who is under the age of 21. In addition, all DUI charges will be labeled as misdemeanor criminal convictions. In addition to Arizona's setting forth of three levels of penalty in relation to DUI offenses, it also includes Extreme Drunk Driving Convictions. This entails that an individual will have possessed a blood alcohol level of 0.15 percent of more within two hours of being on the road. Fines can be found in the amounts of the thousands in addition to the requirement of an ignition device within your vehicle. To know more about Arizona DUI Laws and Penalties, click here. Arkansas sets forth that the "ingestion of alcohol" must have occurred, which then led to one's impaired driving functions. The following persons are deemed not legally permitted to operate a motor vehicle: persons whose blood alcohol level is that of 0.08 percent or more, or minors under any influence of alcohol as well as possessing a blood alcohol level of 0.02 or more. Arkansas also possesses an "Implied Consent Law," that which it shares with various other state legislatures. In contrast to other states, Arkansas insists that DUI offenders attend victim impact panels as a part of their penalty for such offenses. This is in addition to the expected fines as well as jail times incurred. The fourth time offender may also be subject to having their vehicle seized.To know more about Arkansas DUI Laws and Penalties, click here. The state of California sets forth specific terms for drivers under the age of 21. They are not to be operating any motor vehicles if the following exists: possession of alcohol within the vehicle, the driver having a blood alcohol level of 0.01 or more, and the driver having previously ingested any type of alcohol, such as that of cough syrup or prescription drugs, for instance. For individuals who are reside under the age of 18, however, any amount of a blood alcohol level is prohibited while the driver of a vehicle.California has also thought it pertinent to institute new DUI laws, that which individuals must be aware of. One example is that of the "DUI Zero Tolerance Law for Repeat Offenders." Repeat offenders who are caught driving with a blood alcohol level of .01 percent or more will be subject to a revoked license. To know more about California DUI Laws and Penalties, click here. In addition to its DUI laws, Colorado also possesses specifications according to its "Driving While Ability Impaired Law." The DWAI law sets forth that 0.05 percent be the minimum amount necessary to deem you prohibited from operating a motor vehicle. This resides below the limit for its DUI laws that specify a limit of 0.8 percent. Colorado also has an "Express Consent Law" that mirrors that of the "Implied Consent Laws" of other states. In addition to penalties for separate offenses in terms of DUI as well as DWAI, there exists detailed outcomes of the combination of the two, or rather the existence of one from the individual's past in addition to the other having just occurred in the present time. For instance, if you are convicted of a DWAI with a prior Colorado DUI, you will be expected to serve jail time from 60 days to a year, with fines of $800 to $1,200, as well as the completion of from 52 hours to 104 hours of public service. To know more about Colorado DUI Laws and Penalties, click here. When referencing drivers residing under the age of 21, Connecticut DUI laws state that they be prohibited from operating a motor vehicle if their blood alcohol level is that of 0.2 percent or higher. This is vastly different from the base level of 0.8 for all other populations. In terms of the Implied Consent Law, refusal to adhere to its specifications will result in consequences that may mirror that of an actual DUI conviction. Connecticut specifies three levels of offenses for DUI. The penalty for the third, or rather, second repeat offense is that of fines ranging from $2,000 to $8,000 as well as similar completion of community service hours in relation to preceding offenses. License suspension may be made permanent in such a case as well, however. Therefore, the acquiring of a good Connecticut DUI attorney is advisable. To know more about Connecticut DUI Laws and Penalties, click here. Delaware has a substantial amount of specifications set forth for DUI offense penalties. It sets forth seven offenses to begin with, in addition to the use of ranges of blood alcohol concentration levels as a basis for license suspension times. Following the second DUI offense, all subsequent offenses will also be labeled as varying classes of felony. The seventh offense represents the most expensive crime in terms of its specification in comparison to lesser offenses as it may run you as much as $15,000. In addition, jail time will reside within the limits of 10 to 15 years. The substantial amount of time and money are set forth in order to deter individuals from even approaching such a point of no return. Preceding penalty offenses are not far off of such a pace to begin with. To know more about Delaware DUI Laws and Penalties, click here. Washington DC DUI laws also possesses a "zero tolerance" policy when concerning drivers who are not yet of the age of 21. In specific terms, individuals not yet 21 years of age may not be in possession of any alcohol whatsoever. In terms of the Implied Consent Law, law enforcement authorities must possess "reasonable grounds" for employing a chemical test for the presence of alcohol in one's system. Washington DC DUI laws specify three offenses, two of which would be subsequent repeats. Such offenses may be prevented, however, as may be done by employing charts and calculators that may assist you in realizing what your blood alcohol concentration percentage may be at any given time. In addition, you may also make the choice to not engage in operation of a motor vehicle following any amount of alcohol consumption.To know more about District of Columbia DUI Laws and Penalties, click here. While Florida also partakes in the institution of the Implied Consent Law, it also maintains an addition specification. Upon refusal to adhere to a chemical test during incidents that have caused injury or death, the arresting authority may acquire your blood by way of the use of "reasonable force." In reference to fines, they seem to increase in relation to either higher blood alcohol levels or the presence of a minor within the motor vehicle at the time. An example would be in terms of the second repeat offense. Fines will range from $2,000 to $5,000 if within the limits of .08 and .15, and a bare minimum of $4,000 if levels are in excess of .15 as well as if a minor is in the vehicle at the time. Keep in mind that this will also be labeled as a third degree felony and a license suspension of up to 10 years.To know more about Florida DUI Laws and Penalties, click here. In addition to Georgia's DUI laws maintaining regulations upon blood alcohol levels of .08 percent, it also possesses the "Open Container Law." This law makes it illegal to possess any container that is within a moving vehicle, such as those with broken covers, for instance. The fine for violation of this law is in the amount of $200. In terms of the third DUI offense, one will be required to be photographed and covered in the local newspaper in order to increase awareness of such seemingly habitual offenses that endanger the community. They will be labeled a "habitual violator," as well, in addition to having their license plate taken away. Those who are under the age of 21 will be imposed with a delay of a year in relation to obtaining their "graduated drivers licenses. The fourth offense, then, increases in severity as it will be classified as an outright felony according to Georgia DUI laws. To know more about Georgia DUI Laws and Penalties, click here. Hawaii is more forgiving when it comes to a DUI offense as compared to many other states. They do not enforce lengthy jail terms until the third and fourth offense. The fines are lower than other states for the most part and as are the license suspensions for 1st and 2nd time offenders. They do use treatment programs to enforce more punishment and education. It is interesting that the aggravated circumstance law only adds an additional 2 days in jail even on the third offense. Usually aggravated circumstances carry harsher penalties than an extra 48 hours in jail, especially the 2nd and 3rd time around. Overall, Hawaii does not give out high fines or long jail terms which may be a result of not a high volume of DUIs or a social acceptance of drinking and driving. To know more about Hawaii DUI Laws and Penalties, click here. Idaho has jail sentences ranging from 10 days to 5 years depending on how many offenses you have committed. Each individual case is treated as such and that is why many of the punishments handed down from the judge are unique. Sometimes less jail time may be giving out in exchange for working in a work program run by an Idaho sheriff. Idaho also uses evaluation programs to help offenders stop drinking and driving and help them learn to not drink and drive before it is too late and someone is seriously injured. Ignition interlock devices are used as a good way to enforce sober driving without needing a state employee physically there to monitor the offenders. Any offender will have to wait until their license is restored before they install the ignition interlock device. To know more about Idaho DUI Laws and Penalties, click here. Illinois chooses to focus on aggravated circumstances such as having an extremely high blood alcohol content or endangering the life of someone 16 years old or younger. The state feels aggravating those circumstances shows a blatant disrespect for the rules of the road, especially the DUI laws. The fines are what really takes a big jump when the circumstances are aggravated. A $1,000 fine after a 2nd DUI jumps to 25 times that number if you are driving with a child. Eventually repeat offenders could lose their license for up to 10 years and spend 7 years in jail due to aggravated circumstances. The state rightfully so puts the lives of children ahead of giving DUI offenders multiple chances.To know more about Illinois DUI Laws and Penalties, click here. Indiana applies other penalties such as victim impact panels, urine testing, and community service after just one DUI. These are alternate options to go along with jail, fines and license suspensions. For people who are not affected by jail or have lots of money, victim impact statements can show the real hurt they cause when they commit a DUI in Indiana. They may finally start to think about the people they hurt with their irresponsible actions rather than just thinking about the time they have to serve in jail or money they are forced to pay. They learn they are actually getting off easy compared to the damage some people suffer after drunk driving accidents.To know more about Indiana DUI Laws and Penalties, click here. Once it is proven that someone is guilty Iowa DUI beyond reasonable doubt they are charged with a serious misdemeanor. After second DUI in Iowa and you are charged with an aggravated misdemeanor which will land you in jail for 2 years and up to $5,000 in fines. Those who refuse to take a sobriety test will have their license revoked for 1 year and they will be forced to install an ignition interlock device. If you choose to decline a sobriety test for a 2nd time your license will be revoked and you will have to apply for a temporary license but not until 1 year has passed. Once again an ignition interlock device must be installed.To know more about Iowa DUI Laws and Penalties, click here. In Kansas, officers are trained to administer only the standard sobriety tests, not ones they come up with on their own. Any tests that an officer uses that does not meet the legal standards of a Kansas DUI check will not be admissible in court. Kansas requires a minimum of 100 hours of community service following your first DUI arrest. Fines for 2nd and 3rd arrests range from $1,000-$2,500. By your second offense, an ignition interlock device must be installed and used properly. Jail time for those offenses can reach 1 year. A fourth DUI gives the court the right to impound your vehicle while a fifth DUI should be your last as your license will be permanently terminated in Kansas. To know more about Kansas DUI Laws and Penalties, click here. Kentucky DUI laws don't call for very harsh penalties. You could possibly get up to 3 DUI charges before you have to pay your first $1,000 fine. It is possible that you spend 6 months in jail after a second offense but the minimum is only 7 days, 5 days longer than the 1st offense minimum. A 4th Kentucky DUI will only get you 120 days in jail, compared to a possible 30 years in Louisiana. The maximum suspension on a license is 5 years and they must attend substance abuse treatment. Aggravated circumstances allows for the judge to hand down harsher jail times.To know more about Kentucky DUI Laws and Penalties, click here. Louisiana is looking to place first-time offenders in jail for a maximum of 6 month. While the fines for a DUI conviction are not as high as other states, just $2,000 on a third offense, the jail time is serious. A three-time offender can find themselves in jail for up to 5 years. They also have to take part in an inpatient treatment program. By the time an offender reaches a 4th conviction they won't have to worry about getting their license back, they might be spending the next 30 years in jail. While 30 years is the maximum, 75 days is the minimum which comes with a $5,000 fine and 2 year suspended license. The court has the right to seize and sell your vehicle after a 4th DUI. To know more about Louisiana DUI Laws and Penalties, click here. Maine uses strict penalties to punish DUI offenders. The state is willing to send you to jail for 48 hours after just your first DUI offense. If you commit a second offense, there is a quick jump from 2 days in jail to 6 months. The low tolerance policy should scare any one-time offender away from considering driving drunk again. Nine months and 1 day in jail for your third offense is high as well but a fourth offense will land you in jail for a full two years and you will lose you license for six years. If you are lucky the judge will allow you to drive after just three years if you but an ignition interlock device in your vehicle. To know more about Maine DUI Laws and Penalties, click here. Maryland DUI law specifies that a .08 BAC is the legal limit for operating a vehicle. Similar to the rest of the country, Maryland law carries stricter consequences for repeat offenders, as well as those who are transporting a minor at the time. For a first offense, the driver could possibly receive one to two years in jail at the maximum. At the minimum, a first offender will receive a license suspension of up to six months, and $1,000-2,000 in fines. A second offense carries possible jail time of up to two years, a fine of $2,000-3,000, and the possibility of an ignition interlock program. A third time offender will loose license privileges for a minimum of one and a half years, possible jail time of up to three years, and a fine of $3,000-4,000. Maryland also requires a DWI (driving while impaired) offense for drivers with a BAC of .07. These consequences include fines, loss of license, and possible jail time, which are also more severe if the driver has a minor in the car or is a repeat offender. Driver who are under the legal drinking age of 21, are only permitted a BAC of .02. To know more about Maryland DUI Laws and Penalties, click here. Massachusetts DUI law carriers strict penalties, including jail time, fines, and loss of license privileges. Many people will choose to hire a DUI attorney that will aid clients in receiving minimum penalties. A first offender can receive possible jail time of up to 30 months, a $5,000 fine at the maximum, and one year license suspension. Sometimes courts will allow first offenders to participate in an alcohol treatment program, in order to reduce the penalties. A second offense will carry a greater amount of fines (up to $10,000), jail time, and loss of license. Often, a second time offender will receive an ignition interlock device. Jail time and license suspension increases for a third, fourth, and fifth offense. Fines for a fifth offense can reach up to about $50,000. Sometimes, when an offender hires a DUI attorney, he or she may be able to make claims of hardship in order to receive license privileges sooner. To know more about Massachusetts DUI Laws and Penalties, click here. Michigan DUI laws specify fines, possible jail time, and loss of license for DUI charges. Michigan law also offers a DWVI (driving while visually impaired) offense. This refers to drugs or alcohol that will impair a driver's ability to see while operating the vehicle. The legal BAC limit in Michigan is .08. However, this will be reduced to .02 if the driver is under the age of 21, and .04 is the driver is operating a commercial vehicle. A first offense carries consequences of up to 90 days in jail, a $500 fine, and loss of license for six months. Michigan offers the possibility of community service or an ignition interlock device that may reduce these penalties. A first offense also leads to six points on the driver's license. A second offense will increase fines and jail time to a possibility of one year, and license suspension for one year. The second offender may also receive community service up to three months. Michigan considers a third DUI offense a felony, which mandates probation, one to five years in jail, vehicle immobilization, fines, and community service. To know more about Michigan DUI Laws and Penalties, click here. Minnesota law refers to driving under the influence as DWI, or driving while impaired. This includes impairment from both alcohol and drugs. Minnesota's legal BAC limit is .08. This state's first offense consequences differ slightly from other states. The driver can receive up to 90 days in jail and $1,000 in fines. If the BAC reading is above .20, the driver will automatically receive a 180 day suspension of license privileges. There will also be an extended suspension if the driver has a passenger in the car. Minnesota also requires that the driver pay certain fees and surcharges for reinstating a license. A second offense, especially one committed within ten years of the first, will have increased consequences. There is possible jail time up to one year, and license suspension that is increased if there is a passenger under the age of 16 in the car. A third offense will also result in possible jail time and fines, as well as the possibility of indefinite license suspension unless the offender gets treatment. A fourth DWI charge is considered a felony and punishable by up to seven years jail time. To know more about Minnesota DUI Laws and Penalties, click here. Mississippi maintains a .08 BAC for drivers, with more restrictions for those under the age of 21 and for commercial drivers. DUI law in Mississippi carries implied consent for drug and alcohol testing, and penalties may be steeper for those that refuse testing. A first offense includes possible jail time of up to 48 hours, a fine ranging from $250-1,000, and license suspension up to 90 days. Penalties may be reduced if the driver attends drug and alcohol counseling or a victim impact panel. A second offense mandates increased fines, possibility of jail time, and license suspension. A driver who is convicted of a second offense may also be required to use an ignition interlock device, or the possibility of vehicle immobilization. A third time offender can receive up to five years in jail, $5,000 in fines, and a five year license suspension. These drivers are also likely to be forced to attend alcohol counseling and to perform community service. To know more about Mississippi DUI Laws and Penalties, click here. Missouri state law refers to intoxicated driving offenses as DWIs. This state also carries an implied consent statute, which means that if drivers refuse a drug or alcohol test, this can result in the loss of license for up to one year. Missouri mandates education programs for all offenses. A first time offender can receive possible jail time of up to six months, fines up to $500, and license suspension. Suspension is usually for 30 days, with 60 days of restricted driving privileges. If a second offense occurs within five year of the first, the driver is subject to a possible loss of license for five years. A second offense also carries increased fines, and the possibility of an ignition interlock device. A third offense carries the possibility of up to four years in jail and ten years of license suspension. Missouri also requires a fee for license reinstatement after each offense. To know more about Missouri DUI Laws and Penalties, click here. Montana DUI law carries a limit of .08 BAC and an implied consent clause, which means that anyone refusing a drug and alcohol test could be subjected to a loss of license for six months. In Montana, drivers under the age of 21 will not be permitted to register any BAC, as this state exercises a zero tolerance law. A first time offender could possibly receive jail time up to six months, fines up to $1,000, and license suspension up to six months. These penalties will be doubled if the driver had a passenger under the age of 16. The driver will also be required to attend an alcohol education program. Jail time and fines are increased with a second offense. License suspension can be increased to a maximum of one year, which can be reduced if the driver agrees to install an ignition interlock device. A third offense carries a minimum of 30 days jail time and fines from $1,000-5,000. Again, these penalties will increase with the presence of a minor in the car. To know more about Montana DUI Laws and Penalties, click here. Nebraska DUI law carries a .08 BAC limit, with a lower limit for commercial drivers, and driver under 21 years of age. For drivers who exhibit a BAC at or above .15, penalties will be stricter. Drivers who have traces of controlled substances during their drug and alcohol screening will also receive harsher penalties. A first time offender will receive a minimum of seven days in jail and six month license suspension. The court may also mandate attendance of an alcohol education program. A second offense raises the minimum jail time to ninety days and license suspension to one year. A second offender may also have his or her car impounded or be forced to use an ignition interlocking device. A third offense increases jail time to a possibility of 15 years, which is made for likely if the driver's BAC is above .15. Nebraska is one state that offers a fourth and fifth tier of punishment for repeat offenders. Fourth and fifth offenses are considered felonies and may require a fine of $25,000 and 15 years in jail at the maximum.To know more about Nebraska DUI Laws and Penalties, click here. Nevada's BAC level is generally limited to .08, but Nevada carries a zero tolerance rule for those under the age of 21. These individuals will be subject to DUI charges if any traceable amount of alcohol is found in their system. DUI consequences will also be more strict if it is found in conjunction with other controlled substances. A first offense carries the possibility of jail time up to 100 days, fines up to $1,000, and a 90 day license suspension. The suspension may be decreased if the driver agrees to participate in community service, DUI school, or receive an ignition interlock device. A second offense within seven years of the first will require increased fines and possible jail time up to 180 days. Drivers may receive community service from 100-200 hours, and may have their vehicle registration suspended. A person receiving a third conviction can pay up to $5,000 in fines, and receive a three year suspension. This person also may also be required to engage in alcohol counseling for up to three years. To know more about Nevada DUI Laws and Penalties, click here. The state of New Hampshire maintains similar limits with other states when it comes to illegal blood alcohol levels while operating vehicles. In terms of penalty for refusal to adhere to the Implied Consent Law, however, there is where some variations exist. Upon refusal, an individual may risk license suspension for up to 180 days. If, however, they had already refused a chemical test within 7 years of this current test request, their license may be suspended for a greater amount of time, that of 2 years. In general, New Hampshire DUI laws treat such refusal as if it were and actual DUI conviction. In addition to various prescribed levels of DUI penalties, the state also include that of which is classified as "New Hampshire Aggravated DWI." The following circumstances comprise such a charge: driving 30 mph above the posted speed limit, causing collision leading to serious harm or injury, possessing a minor under the age of 16 within the vehicle, or having a blood alcohol level of .16 or above. To know more about New Hampshire DUI Laws and Penalties, click here. In terms of New Jersey state DUI law, it sets forth slight variations in terms of limits prescribed for blood alcohol levels while driving. For instance, New Jersey specifies that drivers under the age of 21 reside under the level of .01 percent in order to be deemed a legal driver. New Jersey also sets itself apart as it places emphasis upon the penalties that automobile insurance companies may wish to impose. Aside from the immense surcharges that one may garner upon each DUI offense, individuals may expect additional fees from automobile insurance companies based upon DUI convictions. These include: $100 each for the "drunk driving enforcement fund, motor vehicle restoration, violent crimes compensation, intoxicated driver program, and states/municipalities." A specific example of such a surcharge that one may incur is that of $1,500 each year for 3 years following a third New Jersey DUI offense. This amount will be in addition to fines that one will also be expected to compensate for. To know more about New Jersey DUI Laws and Penalties, click here. Within the state of Mexico, the refusal to adhere to the Implied Consent Law will lead to an actual charge of aggravated DWI in addition to the individual losing their license for an entire calendar year. Despite the existence of 5 specified levels of penalty, the last two build up in terms of legal seriousness. This is due to the fact that both of these repeat offenses will incur the labels of being felony offenses. For the fourth New Mexico DUI offense, prison time will range from that of 6 months to 18 months, with a fine minimum of $5,000, which more than surpasses the previous maximum amounts set forth. In addition, license suspension as well as the inclusion of an ignition interlock device will remain for the length of the individual's life, pending a review after 5 years have passed. Prison times increase to a maximum of 2 years when we come to the fifth New Mexico DUI offense conviction. To know more about New Mexico DUI Laws and Penalties, click here. A New York DUI lawyer will be able to first inform you of the reasons why you had been convicted. Your New York DUI attorney will also be able to inform you about the consequences of refusal, which include a revoked license for a year as well as a fine of $500, which increases to $750 upon a repeat refusal. For the first DUI offense, a New York DUI attorney will be able to tell you that you may expect up to a year of jail time, with fines ranging from $500 to $1,000. A minimum license suspension of 6 months will also be incurred. An additional consideration that a New York DUI attorney would be aware of is the distinction that occurs when passengers under the age of 16 are in the vehicle at the time. In such an event, the DUI offense would be labeled as a class E felony, with fines ranging up to $5,000 or with the possibility of jail time up to 4 years. This would an important time to seek the counsel of a New York DUI attorney.To know more about New York DUI Laws and Penalties, click here. North Carolina DUI cases are very complex because many variables are considered when issuing penalties. In North Carolina, driving under the influence of drugs, alcohol or both is known as DUI or DWI. North Carolina DUI is measured based on a Blood Alcohol Concentration or BAC of .08. North Carolina DWI also becomes more strict when Aggravating or Mitigating factor come into play.North Carolina DWI cases provide Aggravating factors that make the punishment for a DUI most punishable under law. These aggravating factors are representative on 4 levels. Implied Consent in North Carolina requires that every driver comply to a BAC testing through either blood, breath, or urine. North Carolina DUI is only given if the driver does not refuse BAC testing. In refusal of testing the drivers license will be suspended for 30 days until the hearing, and possibly for a 1 year after. To know more about North Carolina DUI Laws and Penalties, click here. North Dakota DUI Laws include driving under the influence of alcohol, drugs, or both. A North Dakota DUI is based on a Blood Alcohol Concentration or BAC of .08. The penalties for a driver over the age of 21 are scaled based on two levels;level 1_ up to .17, level 2 _ .18 or above. North Dakota DUI laws state a BAC of .04 for commercial drivers, and a .02 for drivers under the age of 21. Implied Consent law in reference to North Dakota DUI laws prohibits the refusal of BAC testing through breath, blood, or urine. Failure to comply with this law will result in suspension of ones drivers license. For the first offense a 25 day permit is given until trial time. If convicted a 1 year license suspension will be issued. However, according to North Dakota DUI laws, a guilty plea to the DUI charge will change the suspension time form 1 year to 90 - 180 days. Additionally, the guilty plea will award the driver a restricted license 30 days after the plea is made. A restricted license is not allowed however after refusal of the BAC testing, and automatically makes the driver guilty. To know more about North Dakota DUI Laws and Penalties, click here. Ohio DUI laws prohibit a Blood Alcohol Concentration or a BAC of .08 or above, and a zero tolerance or .02 BAC for underage drinking and driving.Additionally, commercial driver are not allowed a BAC of .04 or higher. In Ohio, the use of ALS or Administrative License Suspension is used to make the punishment more strict. Ohio DUI laws provide a Complied Consent Law, which prohibits the refusal of alcohol testing through breath, blood, or urine. In Ohio, refusal to comply with testing will result in a 1 year license suspension for the first offense, and harsher penalties for future offenses. Oklahoma DUI Laws prohibit the use of a vehicle with a BAC or blood alcohol content of 0.08 or higher. Oklahoma DUI Laws enforce a complied consent law for every driver. The complied consent law consists of 180 days - 3 years of automatic suspension of ones driving license. The refusal to participate in testing will result in a Oklahoma DUI conviction. In Oklahoma child safety is a number one priority. When a child is present in a vehicle, each jail sentence increases by up to 4 years. Additionally, every fine doubles when a child is present in a vehicle. To know more about Oklahoma DUI Laws and Penalties, click here. Oregon DUI laws are harsh and serious. The penalties for an Oregon DUI vary based on a drivers age and license type, BAC or blood alcohol content, and the number of offenses. Oregon DUI Laws enforce a zero tolerance or 0.02 limit for drivers under the age of 21. Commercial drivers are not allowed a BAC that reaches or topples over 0.04. Drivers over 21 may not have a BAC the reaches or topples over 0.08.Unlike many other state DUI laws, the first offense is not a warning offense, and carries a heavy sentence. A $1000.00 fine is charged for the first offense along with 1 year suspended license.a $1500.00 fine for the second with up to 3 years suspended license. A $2000.00 fine and a permanently suspended license is the conviction for the third offense. To know more about Oregon DUI Laws and Penalties, click here. Pennsylvania DUI Laws are extremely specific and increasingly harsher. A Pennsylvania DUI conviction is broken down into 3 levels of intoxication. The first level of intoxication is having a BAC of 0.08-0.99. The second level of intoxication is having a BAC of .10 - .159. The third level of Intoxication is having a BAC of .16 and above. Pennsylvania DUI Laws exhibit different penalties for each level. According to Pennsylvania DUI Laws, the blood alcohol level of .16 is know as the Enhanced Blood and Alcohol Concentration. This Enhanced BAC creates harsher punishments and penalties like; jail time, higher fines, driving school, alcohol counseling, license suspension, and vehicle repossession by the sate. To know more about Pennsylvania DUI Laws and Penalties, click here. South Carolina DUI laws prohibit Blood Alcohol Concentrations or BAC above a .10, and punish those both of 21 years of age and younger. The state breaks down a South Carolina DUI as follows; level one _BAC under.10,level 2_ BAC .10- under.16, and level 3_ BAC over .16. The legal limit for commercial drivers and drivers under 21 years of age is much lower than that of 21 and over drivers. South Carolina DUI laws give the DMV the right to release a list of all drivers who have a suspended license due to a SOUTH CAROLINA DUI. DMV lists are made for all offenses.South Carolina DUI laws prohibit refusal of alcohol testing through blood, urine, or breath. Failure to comply will result in a 90 day license suspension and possible conviction. State DUI laws in South Dakota punishes violators in several ways. If one is charged with their first DUI charge, they lose their license for a period of 30 days and must pay a fine of $1,000. The second DUI charge punishes an individual by revoking their license for a period of six months to one year. With both offenses, a jail sentence of up to one year is possible. A third South Dakota DUI offense is a class 6 felony and is punishable by up to two years in jail. An individual charged with a third South Dakota DUI will have to pay a $2,000 fine, complete a drug and alcohol awareness program and prove financial responsibility before their license can be reinstated. To know more about South Dakota DUI Laws and Penalties, click here. The DUI laws in Tennessee are very strict and the punishments are harsh. An individual's first DUI charge will result in a license revocation of one year, besides a fine of up to $1500 and a two day jail sentence. An individual may also have to use an ignition interlock device in their car. An ignition interlock device is a breathalyzer test kit that is attached to an individual's dashboard. The car cannot start with the driver testing their own blood alcohol concentration and if it is above the legal limit of 0.08%, the car will not start. The punishments for a second Tennessee DUI are fines of up to $3,500, a jail sentence ranging from 45 days to one year, and a possible six month period of using the ignition interlock system. A third Tennessee DUI charge results in an individual losing their license for three to ten years as well as a $10,000 fine ad six months to one year in jail. To know more about Tennessee DUI Laws and Penalties, click here. The state of Texas gives more serious DUI punishments to individuals who have children under the age of 15 in the car with them at the time of DUI arrest. While the first DUI charge will automatically suspend ones license for a period of three months to a year, they may also have to serve a jail term of three to 180 days and pay fines of up $2,000. If a child under the age of 15 is in the car, the possible fine increases to $10,000. The second Texas DUI brings a possible jail sentence of 30 days to one year in jail with a fine of up to $4,000. One's license will be suspended for six months to one year. The third Texas DUI charge carries a possible jail sentence of two to ten years and fines of up to $10,000 besides the six month to one year license suspension. Texas DUI charges also come with a DWI surcharge, which is an additional yearly fee that must be paid by the one charged of the DUI. The first DUI carries a DWI surcharge of $1,000 and every additional one is $1,500. If a child under the age of 15 is in the car at the time of arrest, the DWI surcharge is $2,000.To know more about Texas DUI Laws and Penalties, click here. Utah DUI laws make individual's charged with a DUI complete drug and alcohol awareness programs before getting their licenses reinstated. Even a first DUI offense requires an individual to attend a drug and alcohol treatment program. Utah is also unique in that the state laws often use electronic monitoring as a punishment by placing individuals on house arrest. The first DUI charge will give a person the punishments of a $700 fine, a six month license suspension and up to two days in jail, a work service program or home imprisonment. An individual's license be suspended for at least six months for the first DUI. The second DUI offense carries a fine of $800. One must also complete 240 hours in jail or in a work service program. The license will be suspended for two years and they may be forced to wear an electronic monitoring bracelet for an extended period of time. An ignition interlock device may have to be used for three years. A third Utah DUI requires an individual to either complete 1500 hours in jail or a work service program along with a $1,500 fine.To know more about Utah DUI Laws and Penalties, click here. Vermont DUI penalties are very strict when it comes to license reinstatement. Individuals who receive one Vermont DUI may be required to complete a drug and alcohol treatment program, along with a therapy program. A first Vermont DUI charge can also bring 90 days to two years in jail as well as a fine of up to $750. A standard amount of time that one may lose their license for is six months. A second Vermont DUI carries penalties of a mandatory 60 hour jail sentence or 200 hours of community service, usually involving litter pick-up. A fine of at least $1500 is imposed and again, the license will be suspended for at least six months. The third conviction for a Vermont DUI carries the possibility of having one's license revoked permanently. Vermont is one of the few states that will permanently revoke and individual's license. A third DUI carries penalties including a mandatory 1000 hours in jail or 400 hours of community service, in addition to a fine of $2500. A license may possibly be reinstated after three DUI charges if the individual stays clean from alcohol and drug use. If an individual ever hopes to get their license back after a third DUI offense. Each Vermont DUI offense is punishable by a DUI surcharge of $160 a year, no matter what number offense it is. To know more about Vermont DUI Laws and Penalties, click here. Punishments for being charged with a Virginia DUI vary in severity depending on the circumstances of the charge. Punishments are more sever than in many states. If it is an individual's first DUI in Virginia, they must pay a fine of at least $250, more if they had a passenger under the age of 18 in the car at the time. Punishments also become harsher if the individual's blood alcohol concentration is 0.15% or higher. The first DUI charge results in a license suspension of at least one year. Any DUI charge in Virginia requires the individual to complete a drug and alcohol treatment program before their license can be reinstated. A second DUI charge in Virginia is very serious. If the first charge was within the five previous years, the individual faces a jail sentence of 20 days to one year. The license is revoked for three years and when it is reinstated, the driver must use an ignition interlock device. A fine of up to $1,000 must be paid besides a $50 donation to the Trauma Center Fund. The third offense may cause an individual to lose their license for good. The driver loses their license and they cannot petition the courts to get it reinstated for at least five years.To know more about Virginia DUI Laws and Penalties, click here. The state of Washington frequently uses electronic monitoring to punish individuals convicted of DUI charges by keeping them on house arrest. An individual's first DUI conviction is subject to either 15 days of home imprisonment or 24 hours in jail. If the individual chooses home imprisonment, they must pay for the electronic device. This is besides first time offense fines, which can run upwards of $5,000. After 90 days, they are eligible to get their license reinstated if they install an ignition interlock device at their own cost in the car they use. A second DUI will give an individual a period of at least 30 days in jail followed by 60 days of house arrest. Fines and times of license revocation is the same as for a first offense. A third DUI brings a standard charge of 90 days in jail, as well as a likely 150 day period of home confinement. An individual will have their license revoked for at least three years.To know more about Washington DUI Laws and Penalties, click here. In West Virginia, penalties for individuals convicted of DUI charges double in severity if a child under the age of 16 is in the car when they are arrested. Anyone charged with a DUI must spend at least one day in jail. Terms of license suspension is lenient and the individual charged only loses their license for 15 to 45 days. For a state that has relatively lenient punishments for a first offense, possible jail times are harsh. A second DUI in West Virginia can carry the punishment of six months in jail besides a possible ten year license revocation. One's license will be revoked for a year indefinitely and a drug and alcohol treatment program must be completed to be considered for reinstatement. A third DUI charge may cause the driver to lose their license for good and a jail sentence of one to three years is possible.To know more about West Virginia DUI Laws and Penalties, click here. The DUI laws in Wisconsin are not as strict as many other states. While the first DUI offense carries the usual penalties of a six-month suspension term, there is no possible jail time for the first offense and the second offense only carries a possible jail term of five to 60 days. Proof of financial responsibility is required when reinstating one's license. The second DUI offense has a revocation period of one year and the individual must install, at their own cost, an ignition interlock device in their car. An individual can actually have at least six DUI offenses and still only lose their license for a period of two to three years. The fines do get higher as the number of DUI offenses goes up. To know more about Wisconsin DUI Laws and Penalties, click here. Wyoming DUI laws are somewhat unique. They require any individual who has been convicted of a DUI to pay for their own drug and alcohol assessment before they can get their license reinstated, no matter what number DUI offense it is for them. An individual has to be assessed by a certified drug and alcohol abuse counselor before they are sentenced. They must pay for this on their own. A second DUI makes an ignition interlock system mandatory for the driver and also carries an one year license suspension penalty. A third offense has a fine of up to $10,000 with a possible two year jail sentence as well. Wyoming state DUI laws requires that an individual use an ignition interlock system for the rest of their life if they are convicted of a fourth DUI offense. They can petition the courts to have it removed after five years. To know more about Wyoming DUI Laws and Penalties, click here.